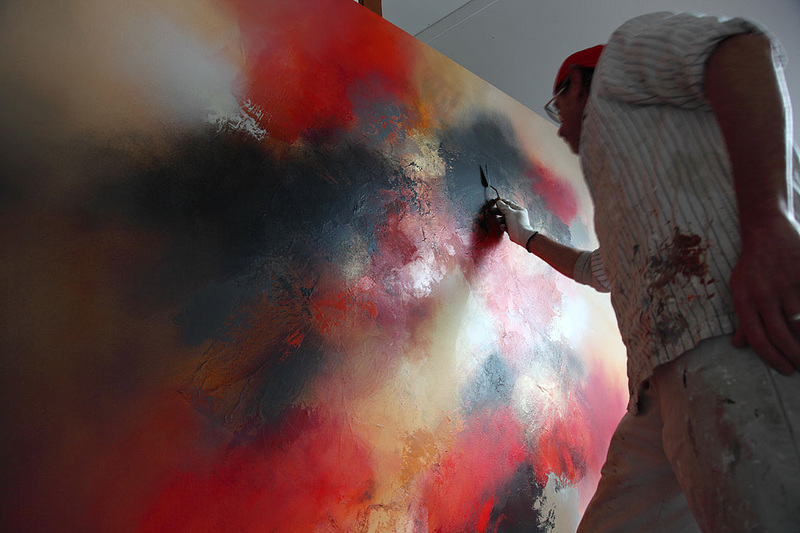 Eelco Maan’s compositions in colour can be compared to musical arrangements. Strong contrasts are blended exemplary and with a superb sense of harmony into a unity of subtle variances. His paintings possess a fascinating, mysterious quality which occupy a world of their own, an indescribable world which by far transcends our rational existence. His work has been displayed in galleries and Artfairs in The Netherlands, UK, France, Japan and Belgium since 1995, both as a solo exhibitor and in collaboration with other artists. His paintings are purchased by collectors worldwide.